Hey, remember when I found This on 10th Avenue in the Chelsea Gallery District? 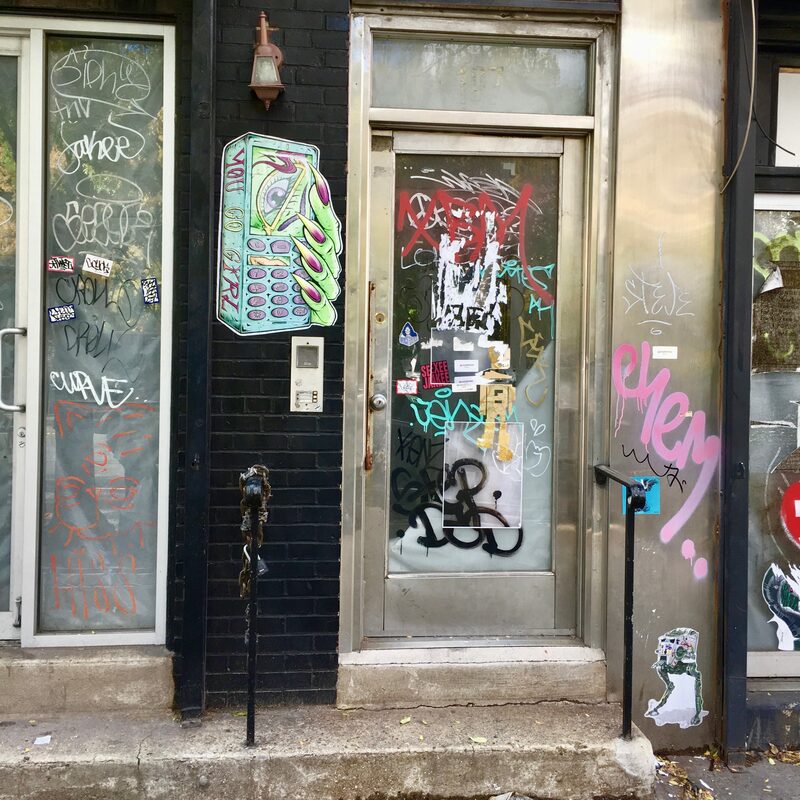 As far as reader comments go, that was one of my most popular Street Art posts ever, which is saying something, considering it had virtually no accompany text. 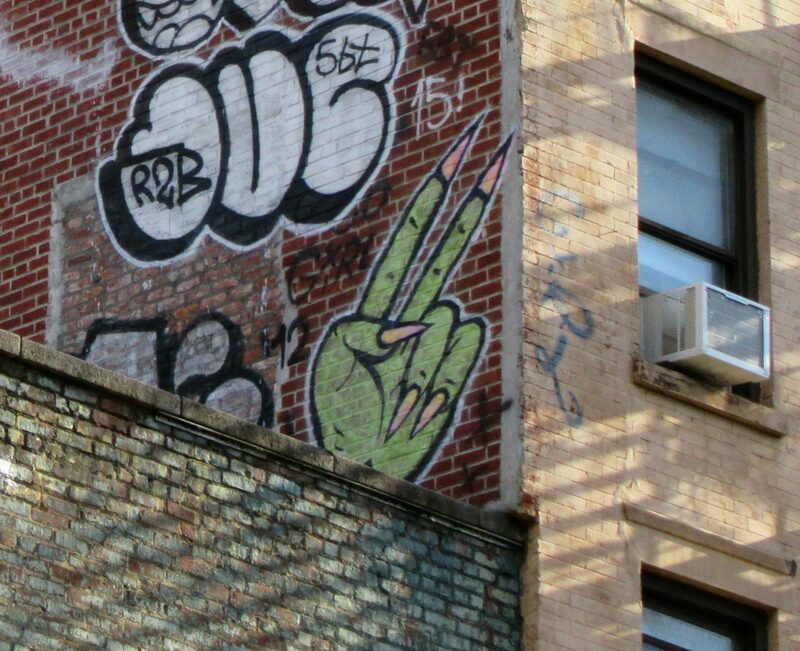 The Green Monster Hand, which has been seen around town by me just a few times, is still a bit of a mystery. Its authoring artist is unknown, and it is far from ubiquitous, unlike the Pink Baby Faces, which have been spotted all over the country at this point. 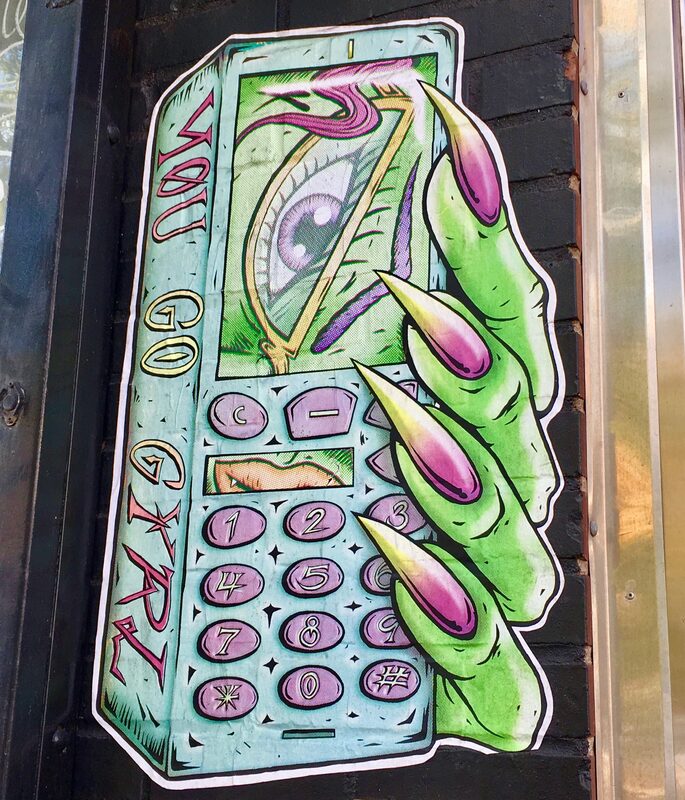 I was out in Chelsea this past Saturday (and what lovely fall day it was) and spotted the Green Monster Hand, now holding an old school cell phone (an upgrade from the now-antiquated desk phone handset we saw last time), which is emblazoned with the text “You Go Girl.” Inspiring. It’s been a few weeks now since I first noticed the Green Monster Hand giving what looks like some kind of a two-finger salute of unknown meaning (I don’t think the fingers are spread apart enough to make it a proper peace sign, but I could be wrong). 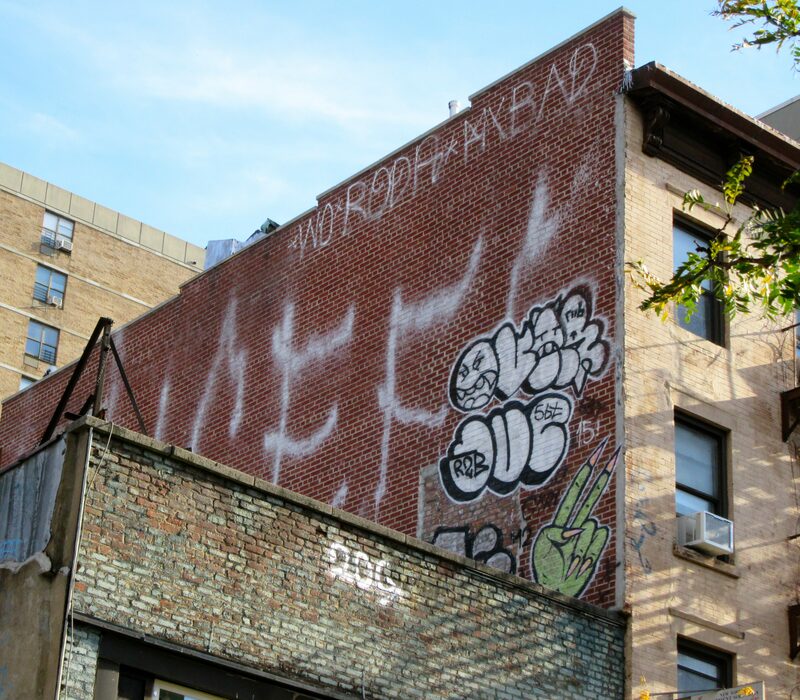 I can’t say when exactly it went up, but considering I pass by this block (Avenue B between 13th and 14th Streets) almost daily, I think it’s relatively new. Photographed by me on Tenth Avenue near 22nd Street.